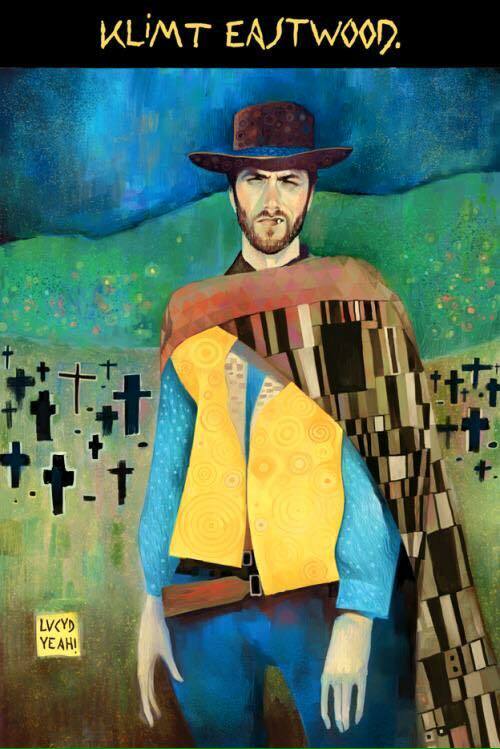 This entry was posted in art, remix and tagged clint eastwood, gustav klimt, humour, the good the bad and the ugly. Bookmark the permalink. I like this piece and am intrigued as to the meaning of the “LVCYD” (or is it “LV(Y! )” on the little yellow sign to the left of the figure. Roman numeral of 55 doesn’t seem relevant. Can you unlock the puzzle?